Most people who know me would agree with the statement that I take pleasure in the obscurity and oddities in life. If there is any sort military or historic significance, my interest is only fueled further. Militaria collectors have heard the same story told countless times by baffled and befuddled surviving family members – the lost history of an object that (obviously) held such considerable personal significance that a veteran would be compelled to keep the item in their inventory for decades. For one of my veteran relatives, that same story has played out with an item that was in among the decorations, insignia and other personal militaria, preserved for fifty-plus years. The crimp ring around the middle of the bullet’s length shows where the top of the bullet casing was pressed against the projectile. When compared to these WWII .45cal rounds, it becomes apparent that the bullet is in the 7mm bore size-range. When I received the box of items, I quickly inventoried each ribbon, uniform button, hat device and accouterments that dated from his World War I service through the Korean War. The one item that caught me by surprise was a long, slender lead projectile with a mushed tip. They are difficult to make out with the naked eye, but the markings are “A-T-S” and “L-V-C”. The character in the center doesn’t appear to be a character at all. It was clear that this blackened item was a small arms projectile. Based on size comparison with 9mm and 7.62 rounds, it was more along the lines of the latter, but it was clearly not a modern AK/SKS (or other Soviet-derivative). Perhaps it was a 7mm or smaller round? Without any means to accurately measure the bullet, I cannot accurately determine the bore-size or caliber. I’ll have to leave that for another day. Further examination of the object proved to me that it was bullet that had been fired and had struck its target, causing the tip to blunt. While I am not a ballistics expert, I have seen the markings that firing makes on a bullet. This round clearly has striations that lead me to believe that it has traveled the length of a rifled barrel. It also possesses a crimping imprint, almost at the halfway-point on the projectile. So what does all this information mean? Why did my uncle hang on to it for all those years? Had this been a bullet that struck him on the battlefield? Had it been a near miss? In this view, the mushed tip is easily seen, as are some of the striations. My uncle passed away 20 years ago and the story surrounding the bullet sadly died with him. Since he bothered to keep it, so will I along with other pieces in a display that honors several of my family members’ service. Yesterday’s mail delivery netted for me my initial foray into American Civil War artifact collecting. I like to counsel would-be militaria collectors to focus on their collecting – choose a specific area of interest and pursue that area. While I have been trying to live and collect by this guidance, to the casual observer it would appear that, with this purchase, I have altered my stance. My collecting focus has been centered upon one thing: creating displays or groups that provide a visual reference of specific veterans in my family and honor their service. That direction has predominantly led me to twentieth century militaria collecting as the items would pertain to those individuals’ service. Another contributing factor has been the affordability and abundance of World War II militaria. It has been a bit more challenging to assemble artifacts from the Great War. Showing the beautiful labeling on the .52 caliber Sharps Carbine round acquired for my shadow box display. The package that was delivered to my door yesterday was small and weighed very little and yet this item would be one of the central pieces in my small display dedicated to the service of my great, great, great grandfather. In researching him and discovering certain details of his service, I decided that I wanted to assemble some significant artifacts for a shadow box that would provide subtle. This .52 caliber Sharps Carbine Round was excavated from the battlefield at Malvern Hill. 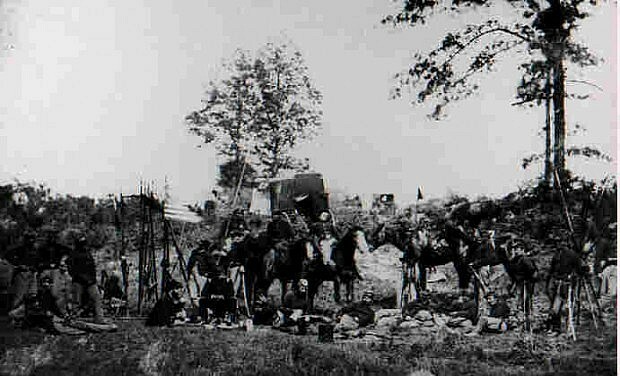 Understanding that my 3x great grandfather served in a cavalry unit, I began to research the engagements they participated in. While I am still waiting for my ancestor’s service records, I made some safe assumptions as to which specific campaigns and battles that he participated in, following his regiment and company’s history. Armed with those details, I began to search for anything that could be closely connected to him. Having researched the weaponry, I determined that he would have carried a Sharps Carbine by the time his regiment participated in the battle at Malvern Hill and used that information to search for specific artifacts. This Model 1859 Sharps “New Model” Carbine .52 Cal rifle was the principal weapon for the 6th Pennsylvania Cavalry – once they shed their lances (source: National Firearms Museum). My search led me to several choices of “dug” artifacts, many of which were in my budget. I honed in on one specific bullet round, a .52 caliber “New Model” Sharps Carbine round that had, more than likely, been dropped on the battlefield. 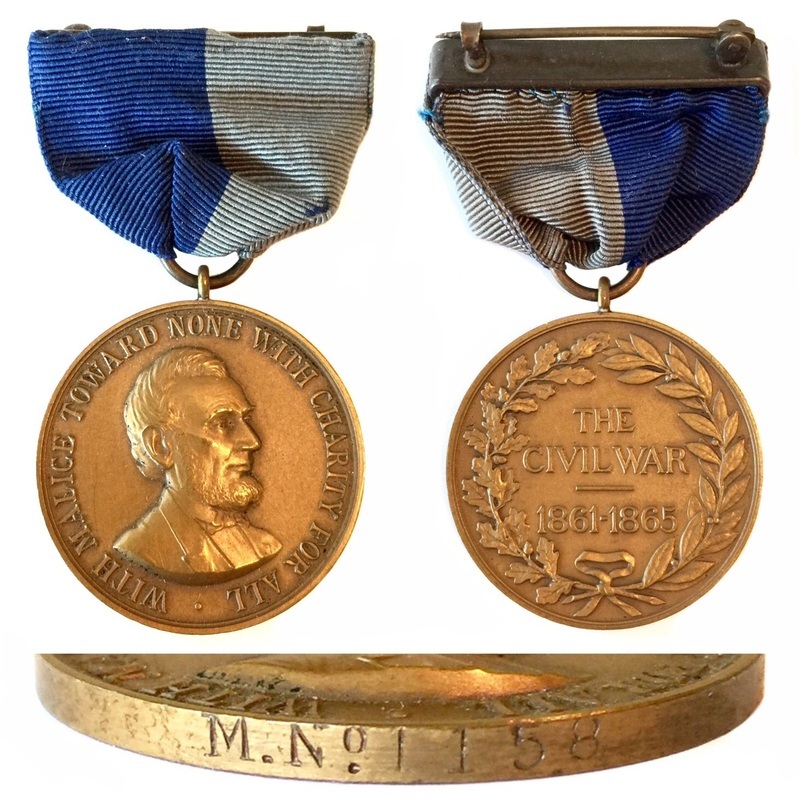 The round is beautifully labeled with details about where it was found and what it is and it came from the collection of a known Civil War expert. Feeling safe about the item, the seller’s history and the aesthetic qualities, I went ahead with my purchase. For the remaining items, I will continue to be patient and educate myself before I pull the trigger (pun intended).